April 10th, 2019: Stop Banking On Climate Change National Day of Action! What: Stop Banking On Climate Change - National Day of Action! Where: JPMorgan Chase, Everywhere, USA. All new fossil fuel projects depend on major bank loans. The Dakota Access pipeline, for example, was a $3.8 billion pipeline. $2.5 billion of that was funded by major banks. Without these mega loans, fossil fuel companies simply don’t have enough money to build new pipelines, new coal terminals or new LNG facilities. Banks across Europe ― BNP Paribas, ING Bank as well as the World Bank ― have all taken some meaningful steps to limit their funding of new fossil fuel projects. But Wall Street? Wall Street’s continuing full steam ahead with business-as-usual, spending tens of billions every year on new fossil fuel projects ― projects that are a disaster for our climate and systematically abuse Indigenous Nations right to Free, Prior and Informed Consent. Join us as we take action across the country to deliver the message loud and clear that funding climate disaster will not be tolerated. 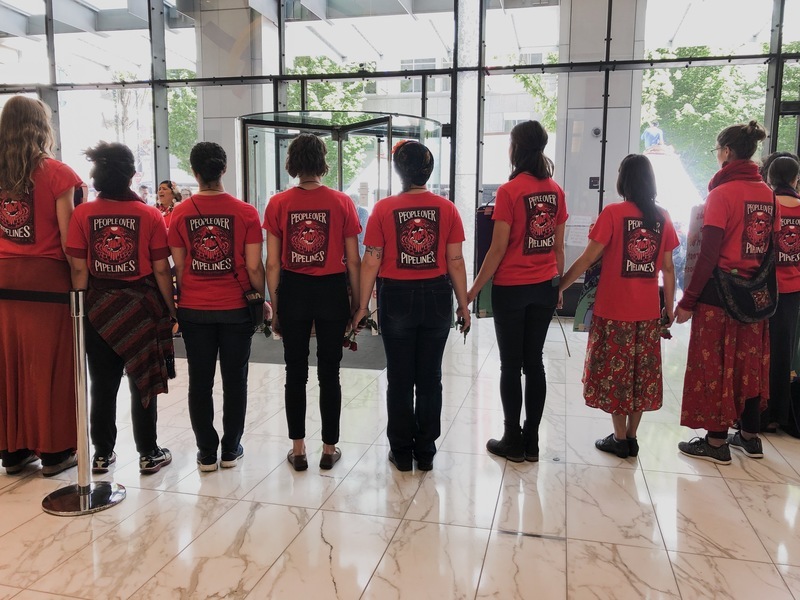 In Seattle, New York, Chicago, Denver, and Madison we will be taking action against JPMorgan Chase, the largest funder of fossil fuels in the United States; other communities will be targeting Wells Fargo, the country’s second largest funder of climate devastation. Register an event now to join us for this mass day of climate action! If you register to sign up to host an event, we will support you by providing resources, coaching and mentorship to host a meaningful, successful action in your community. What: #DefundDisaster National Day of Action: Organizer’s Call! Where: Zoom call. Register Here. And please check out out #ShutDownChase Action Toolkit!